Missouri Southern’s Psychology Department and Child Development Center will be on the move this spring. The Child Development Center, currently located in Taylor Hall, will be relocated into a spacious, 11,000 square feet of property at 3600 Newman Road currently used by the Joplin Regional Center. Bob Harrington, director of the Physical Plant, says the CDC ultimately will occupy all but the Newman Road side of that building. Harrington says the space Psychology occupies in the Health Sciences building is needed for construction of the new dental school facility for the University of Missouri –Kansas City. That project will start next summer. Psychology will move into the annex building behind the Physical Plant once the Biology Department moves into its new location in the newly-renovated Reynolds Hall in May 2017. 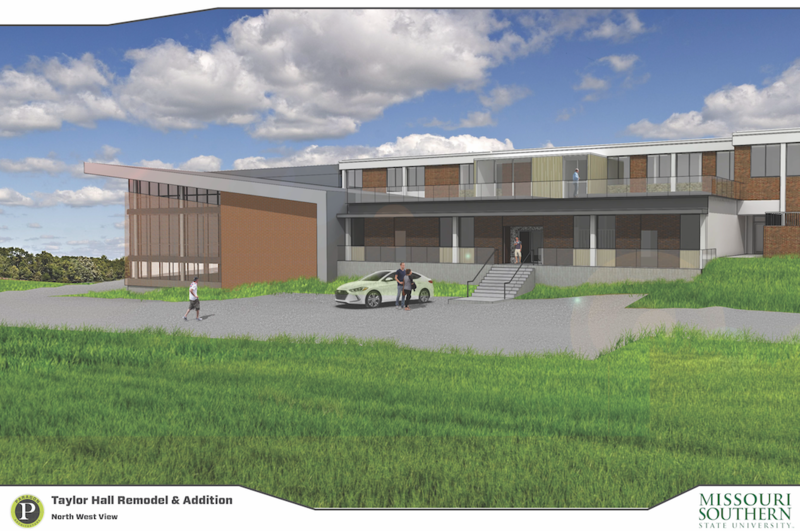 Then will come remodeling and new construction of the old CDC location in the Taylor Education building. If all goes as planned, the Psychology Department will move to its permanent home in Taylor Hall in May 2018.